Open Huis is a range of bottle openers, inspired by the façades ‘gevels’ of Dutch houses. There are four styles to choose from, one depicting an iconic, minimal house and the other three representing traditional Dutch façades. This was the last design project I worked on with Michiel, one that I really enjoyed as it involved creating a collection of similar designs with varying features, whilst also designing with precise measurements for functionality in an original way. As with other projects, I was also tasked with the photography and packaging of the products and I was very pleased with the finished collection, and the public’s overall response. 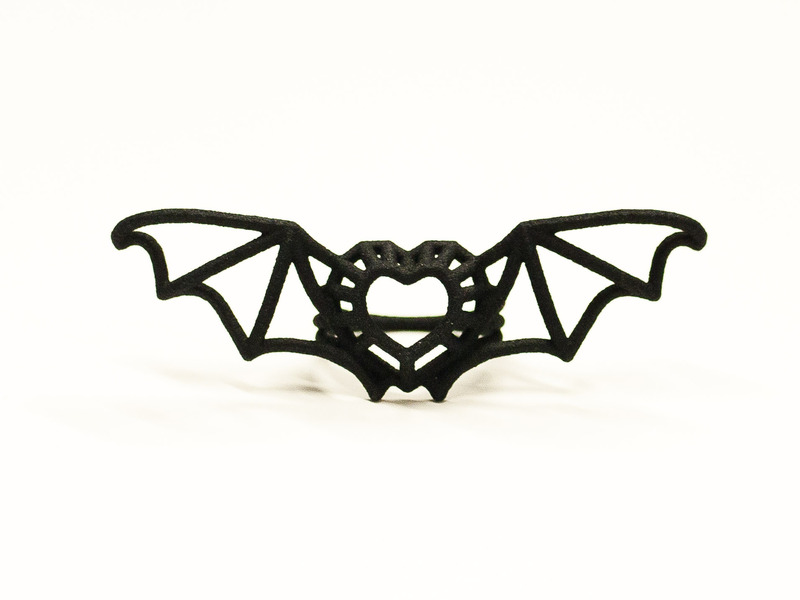 These are also for sale at Shapeways. When Dutch designer Michiel Cornelissen learned that the Tour de France was making his home town of Utrecht the starting point for the race, he set out to create ‘Detour’, a collection of jewellery to honour the event. “It is, anyway, hard to not love bicycles when you’re from Holland – so when the Tour de France passes through town, that’s all the reason you need to create an homage to them”, says Michiel Cornelissen. Detour was one of the last design projects I assisted Michiel with, contributing with the collections name, producing the press photos and designing the cufflinks by myself! This was a great project to apply my jewellery design skills too and to also design something with an event in mind – The Tour de france 2015. The final collection consisted of cufflinks and a handlebar pendant in three finishes: polished brass, steel and bronze steel. 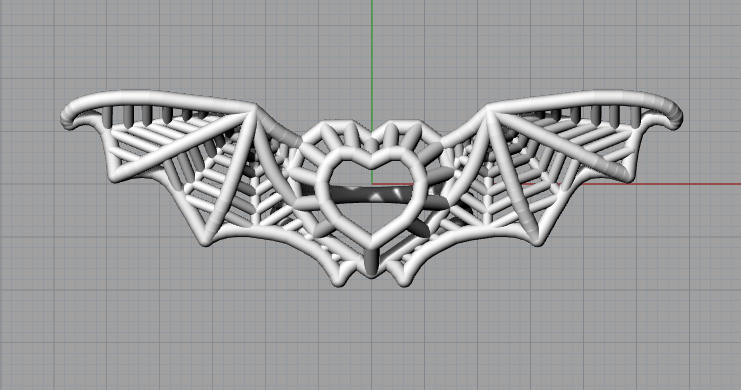 Also available on Shapeways. One of the things I really enjoy about my job, is working in a environment that promotes creative designing and provides the resources so that we can solve problems with new and dynamic solutions. Now this may sound like an exaggeration for what is to follow. But personally for me, I really get a kick out of being able to think up / work on a digital design and print it myself. Never resorting to going to the shops or any tradesman to help make my vision a reality. An example of what I am referring to is the new jewellery display in the MCHL shop. 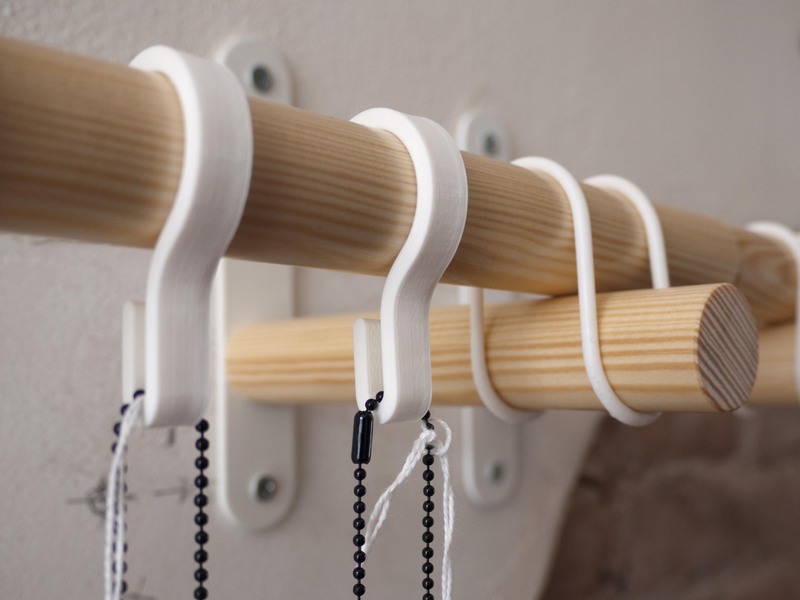 What we have here is the lovely and minimal SANNOLIKT curtain rail shelving by Ikea. We originally got this because with our ever increasing jewellery deigns, we felt they deserved a better display than what they currently had. However, once it was installed, we felt there was something missing. 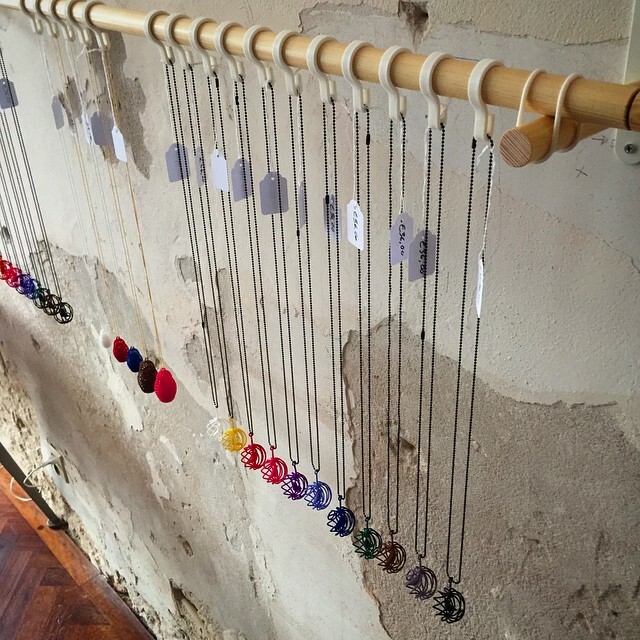 The necklaces were having to be tied (looped over) the wooden rail and it did not make the display look very neat, but we were also wary about it’s affect on the customers. This is where the fun started…. 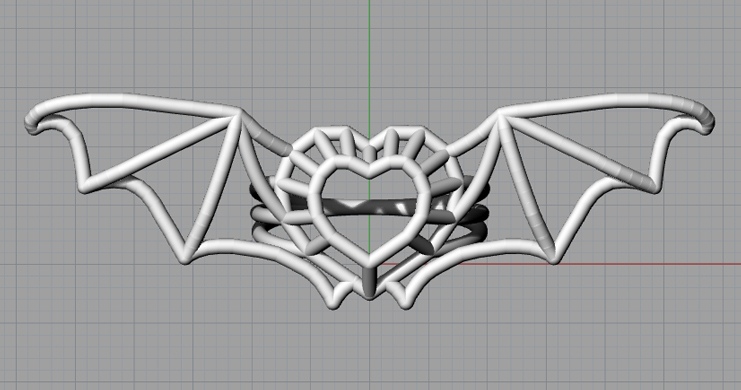 I was given the task of designing a hook, that would be 3d-printed in the studio to hang the necklaces from. It had to fit the diameter of the rail, without being too loose but with still enough movement to slide it length ways. It should also have enough space to fit the necklace (or chain) easily onto the hook, but without making it easy for shoplifters. 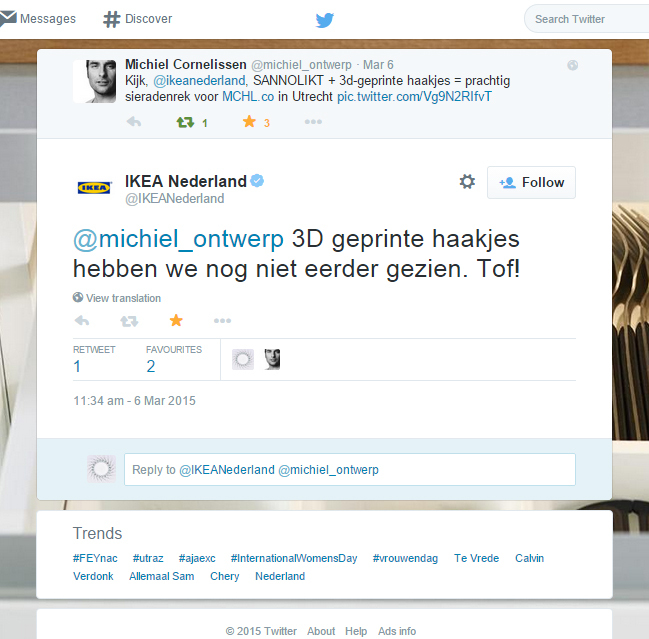 For me, this is one of the reasons I became interested in CAD/CAM and 3D printing: being able to think of and create new and innovative design solutions. For anyone who is interested in virtual reality interfaces or the developments within gaming software and hardware, you will have heard of the Oculus Rift. The Oculus Rift is a virtual reality, head mounted display, developed by Oculus VR, that allows the user to be immersed within the game they are playing. With the additional headphones, this could be considered the ultimate gaming experience. Until recently, I had heard of the Oculus Rift: through friends and several gaming youtube channels, but I was not interested in investigating the product further. 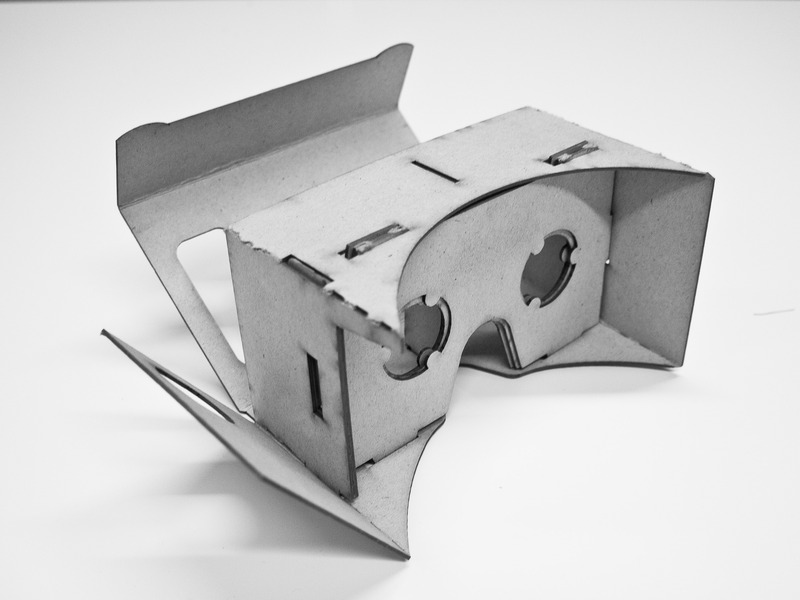 Released in 2014, ‘Google Cardboard’ was developed by David Coz and Damien Henry, engineers at the Google Cultural Institute in Paris. 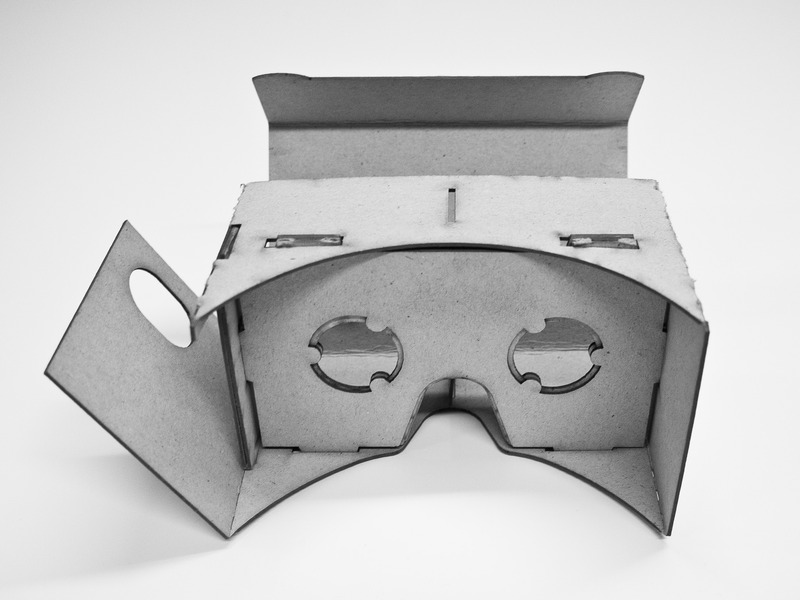 The product operates by using the viewers smartphone to run and play different VR apps. The phone is inserted into the front of the headset and two magnets fixed to the side can be used to simulate the click function. 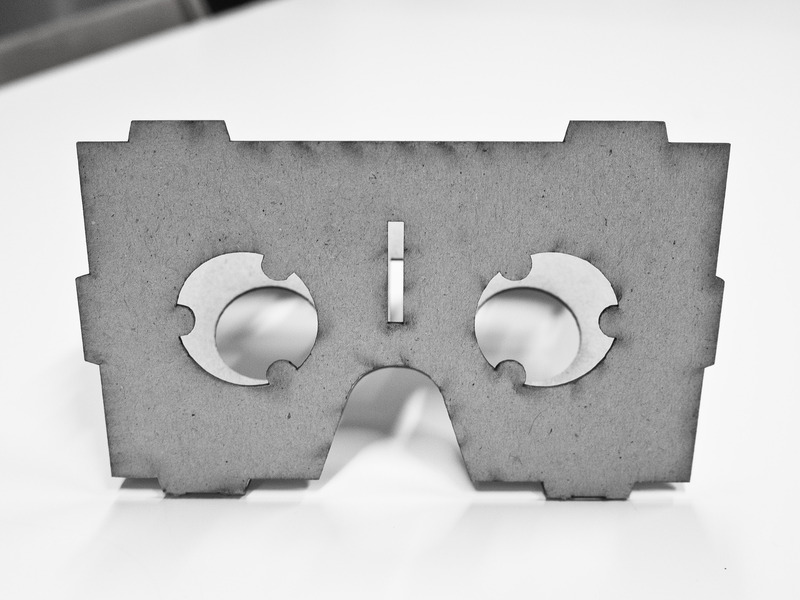 You also need too purchase two lenses to optimise the viewing experience, but apart from that, some bits of velcro and cutting it all out, anyone can have their own Oculus for a fraction of the price. Here is my mine just after it was laser cut. Even though this is just a cardboard cut out, with an NFC tag, velcro and two magnets, it is really worth trying out! Depending on the quality of the VR app you choose to download, you really get to experience what the actual Oculus is like! Not the most elegant of designs I will admit, but this is where things get interesting…. 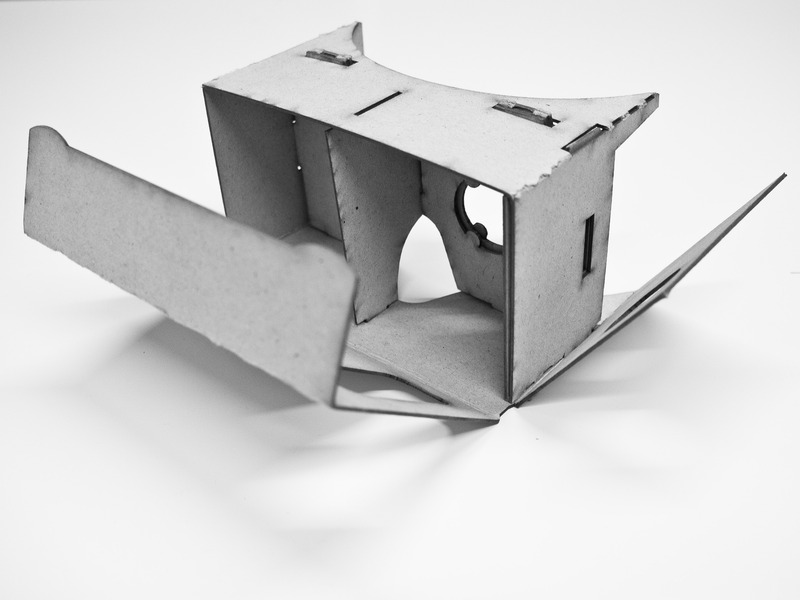 on the Google Cardboard webpage, there is a link for manufacturers and a downloadable kit to make your own design with advice on branding guidelines and component specifications! As far as I have read, there is nothing stopping individuals from creating their own designs. So, I have decided that I would like to have a go at developing my own design: taking my first ever attempt and developing it into a more refined, unique version. I already have a few ideas about the construction and I am looking forward to blogging about the future design developments. Alongside my current work as a design intern, I have also been keeping busy with my own little projects, including a few commissions. My most recent one was for a good friend I met in Utrecht, who wanted me to design a ring for a close friend of hers. 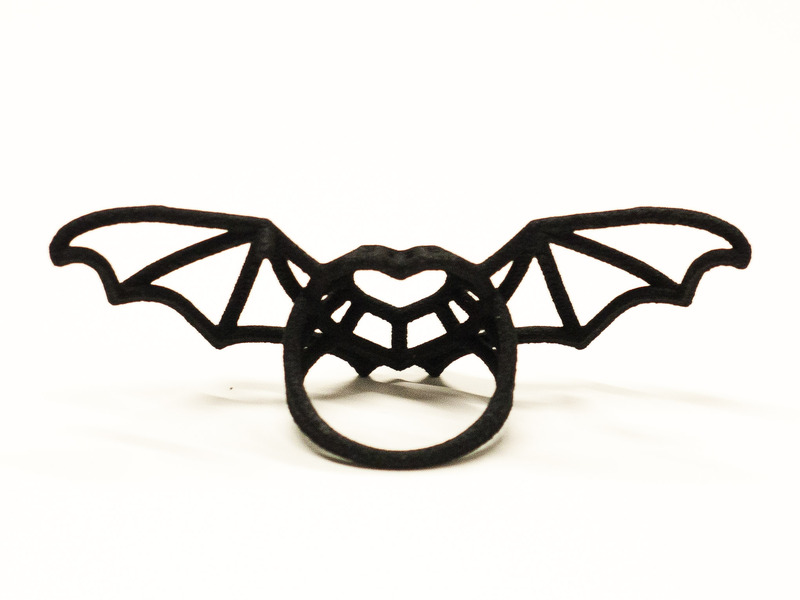 The brief was straightforward, she wanted a black, 3D printed bat ring. Perhaps something with a bit more dimension and she also suggested a heart in the centre. This is was I came up with. 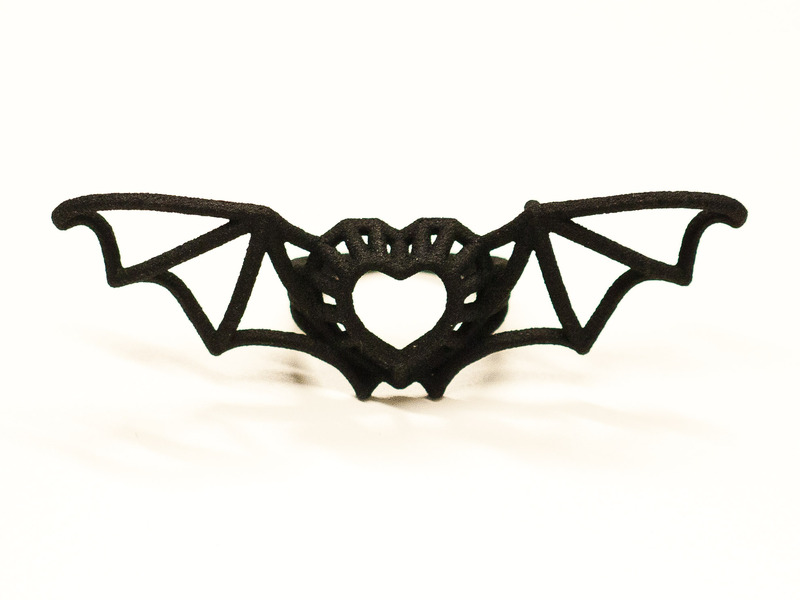 For the first design, I knew I would be working in laser sintered nylon, so I was very wary of the unsupported lengths. 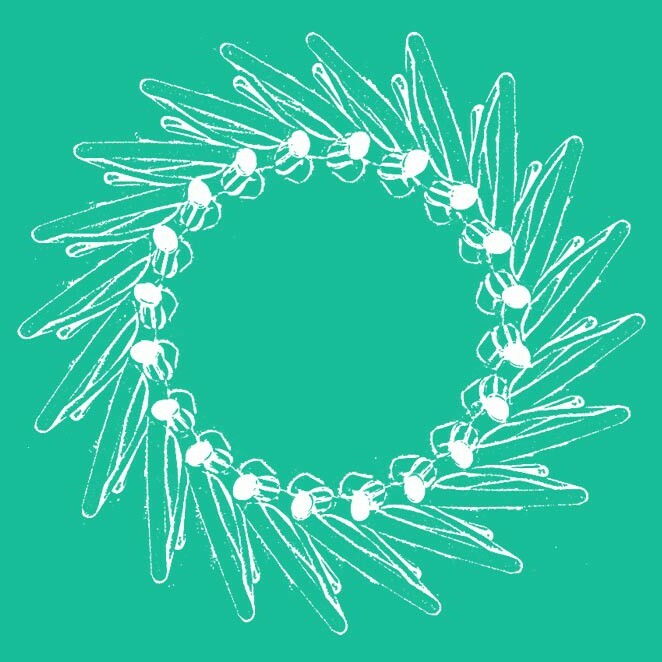 I also wanted to design a ring that was still wearable, without the band of the ring compromising the overall look. By using the heart as a centre piece and creating ‘facets’ I was able to draw along those lines to create the band and wings. However, with this first design, I felt it was a bit to busy. The extra supports would make the ring stronger, but with the skeletal frame I was working to, it would still be relatively fragile. Therefore, I decided to strip the design back and use the nylon as a prototype for a steel version. I am very pleased with the end result and I am also glad that I choose to strip back the design to its original structure. I feel the use of ‘white space’ really makes the design stand out and makes the overall appearance more balanced. And most importantly, the client and her friend, were both very happy with the end result!